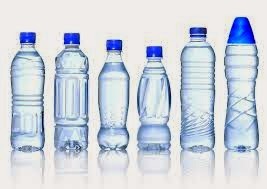 Panic has gripped packaged water producers in the country as the National Agency for Food and Drug Administration and Control (NAFDAC) is undertaking a nationwide laboratory test of various brands of water in circulation to ensure they are fit for human consumption. NAFDAC is carrying out the exercise in conjunction with acclaimed independent international consultant, Emani Global Network Limited (EGNL). Already, the test had been done in some states including Nasarawa, Edo, Delta, Lagos, Akwa Ibom and the Federal Capital Territory (FCT), Abuja. Addressing the packaged water producers in Uyo, Akwa Ibom State capital at the weekend, the Principal Consultant and Chief Executive Officer of EGNL, Mr. Emmanuel Osiegbu, explained that the process to ascertaining packaged water in circulation was from the National Assembly. He said the Committee on Health of the National Assembly was worried about a lot of issues bordering on water borne diseases in the country hence directed NAFDAC to conduct on-the-spot packaged water test using mobile laboratory equipment. “What we are doing is to ensured water being produced and packaged is safe for human consumption and this is the first time we are creating data base in this country. The data base helps us determine specific area in case of any water born disease,” he stressed. Osiegbu allayed the fears of packaged water manufacturers in the country that the exercise was to clamp down on erring producers, saying if there were any negative findings in the process, the agency would work and help the manufacturers to solve the problems. He, however, regretted that more than 85 per cent of packaged water manufacturers in the country had no mini laboratory in their factories being one of the requirements to ensure 100 per cent analysis of water before it goes into the market. Also speaking, the Akwa Ibom State Coordinator of NAFDAC, Mr. Collins Ogedengbe, said the good thing in the test was that the producers are available to witness the test and the result and commended water manufacturers in the state for their cooperation. He warned some of the water producers in the state who are using other companies’ brand names to package their water, saying NAFDAC would not hesitate to bring the full weight of the law on anybody caught. NAFDAC, he said does not discourage production of packaged water provided the right thing is done as it provide alternative source of employment in the country.